The Horror Honeys: Honey Buzz ~ So, Nic Cage is Definitely a Vampire. Honey Buzz ~ So, Nic Cage is Definitely a Vampire. 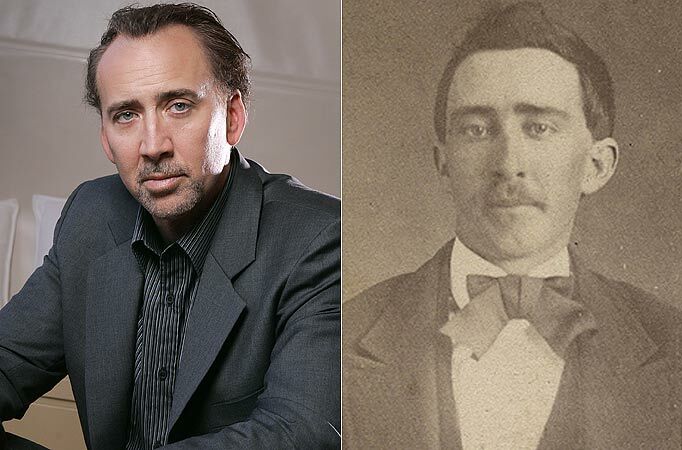 Ever since a photo appeared on eBay that seemed to show Nicolas Cage alive and well in the 1800s, rumors have been circulating that our favorite mad man is, in fact, a vampire. Now, thanks to Idris Elba and a Reddit AMA, we seem to have definitive proof that Cage is one of the children of the night. Don't worry Nic. Your secret is safe with us. Yeah - Nic Cage came back one day on set, and he came down to set and he looked a little bit tired, a little bit - kind of like he'd ben up all night. So I was like "hey Nic man, how you doing man" and he said "i'm alright' and I said "You seem a little spooked out" and he said "Yeah man, I went up to Dracula's castle...the ruins up in the mountains, and I stayed the night" and i said "What?! Why|?" and he said "I just had to channel the energy, and it was pretty spooky up there." We were shooting in Romania, Transylvania, and he just went up there to spend the night, as you do. If you wanted it to be a secret, you probably shouldn't have been so obvious. Stay out of the sun. Burning alive is no laughing matter. Well, it probably didn't listen to us and went out for a soda during the day. Mirrors are not your friend. Wooden stakes are not a joke. Probably better not to party with your teeth hanging out like that. And remember, above all else, stay calm. Well, Nic Cage calm. Which is batshit crazy for everyone else.